Close your eyes and imagine yourself standing on the summit surrounded by epic fjords all around. That’s the kind of feeling you can experience only in Norway. It’s an epic, powder-rich destination for ski-touring and split-boarding enthusiasts. LUEX offers amazing trips, comfortable accommodation and top quality guiding. Choose ski-touring, ski-safari or a boat trip and take YOUR freeriding to the next level. Call us! 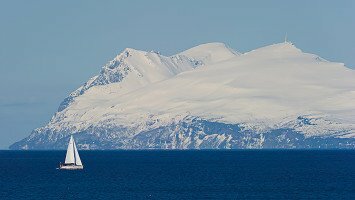 Imagine standing on top of a mountain and being able to see to the horizon in every direction, across snowy white peaks and sapphire blue waters, then dropping down the slope and skiing right to a sandy beach; this is what Norway is all about. 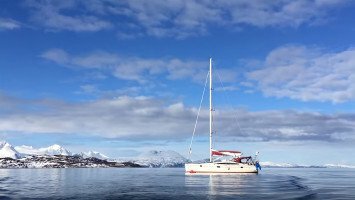 On a ski trip or snowboarding trip in Norway, you’ll learn that the experience is about much more than the snow. Like the seemingly magical Northern Lights or Aurora Borealis, a frequent occurrence in Norway, there is something magical about this country. The most popular areas for skiing and snowboarding in Norway are on the fjords and on islands, which means you’ll almost never be out of sight of the majestic blue sea. The shape of Norway’s terrain, tall and narrow in many places, makes it perfect for ski touring as many of the best, untouched slopes can only be reached after first hiking or climbing on skins or with a split board to reach them. Because of the steep terrain and technical ability required for ski touring, most of our trips are suitable for intermediate to advanced skiers and split board riders, along with a few that experts will enjoy. Skiing in Norway is about more than just snow because many of our trips include travel by boat, meaning you can spend your day enjoying fresh powder and at night look up at the stars as you’re in one of the most remote places in the world. 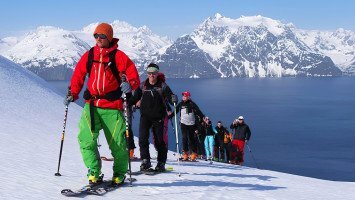 Most of our ski trips in Norway are ski touring, boat trips, or ski safaris. 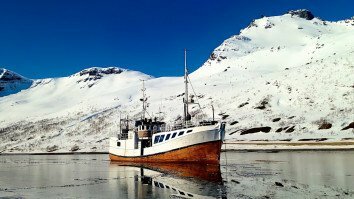 Whether you choose a boat trip or trip with lodge accommodations you’ll enjoy the comfortable yet rustic atmosphere that Norway is known for. Many of our Norway trips are all-inclusive, including meals, but you might also choose to visit local restaurants and explore the quaint villages of Norway. For those interested in learning about the culture of Norway, choose a trip that includes time to explore other activities like fishing and sightseeing in many charming coastal towns. Others might like to follow their day on the slopes with a relaxing massage or a visit to the sauna and we offer trips with both. No matter where you choose to travel in Norway, you can probably count on ending each day with an unforgettable dinging experience as Norway is known for exquisite cuisine with typical dishes being fresh seafood, reindeer, lamb, or other local specialties, but you may also be treated to a number of international dishes that are sure to please. Although skiing or snowboarding in Norway might feel like an experience reserved for the wealthy, you can enjoy the richness of this spectacular country at any price range, from budget to luxury. A ski or snowboarding trip in Norway is sure to be an unforgettable experience. 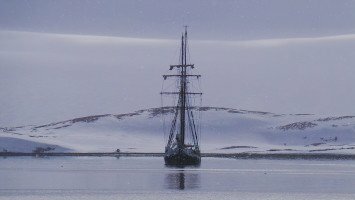 Every magical moment of your trip, from climbing to mountain tops and looking across endless peaks and valleys before skiing or riding down dazzling white slopes with views of deep blue waters, to relaxing at night under the stars and maybe catching the spectacular celestial show known as the Northern Lights, is what makes skiing in Norway unforgettable.